Your monthly podcast on all things creative, pseudo-scientific and a little bit absurd. Brought to you by the Lucent Dreaming editors. Episode 3 - I can't believe I downloaded it on to my computer! Episode 2 - Maybe you're just not a good planner! Join Jannat, Joachim and Jonas as they (sleep)talk about all things creative, pseudo-scientific and a little bit absurd. 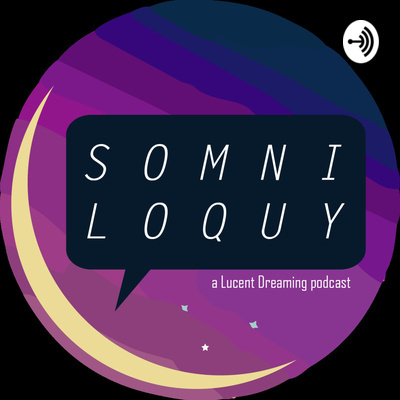 In this gosh darn hilarious (to us only) episode of Somniloquy we discuss whether planning your creative projects and/or life is really worthwhile and why Pokemon is the golden standard of heroism. There might also be some factually inaccurate information about Paradise Lost, On the Road, Twilight and Boston. Special shout-out to Steve for his contribution to this month's topic! Also, thank you to Sam Hickman for our new Somniloquy jingle. Isn't it perfect? She's a star in our dreamworld and an incredibly talented singing harpist in real life. You can check out her music on iTunes and Spotify or find her on Instagram. Before you go, don't forget to check out our Patreon to support us there! Find us on Twitter, FB, Instagram and our website. You can also contact us at somniloquypodcast@gmail.com P.S. Jonas's microphone was stuck on 'Telephone' quality, so excuse his muffledness. Otherwise, enjoy!